Vortex Viper red dot Review : Should you buy this mini reflex sight? Want to ban guns? Ban Internet (Dark Web) first! Does the NRA have GOP’s balls in a money clip? Man Punches a Kangaroo in the Face to Rescue His Dog. Should you Open Carry or Concealed Carry? Dumbfounded on How to Choose Scope Mounts? Newbie question solved : What to buy for your first gun? Vortex Viper red dot Review : Should you buy this mini reflex sight from Vortex? Vortex Viper is an entry-mid mini red dot sight under $200 which can be used on both handguns and long guns. Even though Vortex Viper is not SHTF grade where you depend your family and your life on, but could serve you well on range guns where stakes aren’t as high and budget is more of a focus. But is the Viper the best deal in its class or is there a better mini red dot? Worry not, I’ll tell you all there is to know about this optics so you can make informed decision whether the Viper is the right one for you. Compared to Vortex Venom, the Viper has similar glass and dot brightness. However, Viper’s downfall is its battery compartment design, locating at its base and requires unmounting to change batteries. And the Viper lacks auto-brightness feature which the Venom has. That said, Vortex Viper can be mounted slightly lower and has a cheaper price. Burris Fastfire III is similar to Vortex Viper in terms of dot and glass quality. But the Fastfire III can change its battery without unmounting. One thing I like about the Viper more is its brightness control settings which gives you more options to fine-tuned to your environments. To sum up, if you don’t mind the slightly higher price and higher mounting, Vortex Venom is the better option. Due to recent improvements in optics manufacturing technology, firearms optics have become easier and cheaper to produce. Many overseas factories are learning the know-how of making quality optics at reasonable price. It’s very likely that prices for these optics will continue to drop while qualities and capabilities will continue to rise. Such a great time to be gun owners! Furthermore, optics sold in the US has pretty much the best warranties available. You can see many big brand names offering fully transferable lifetime warranty which even “death won’t do us part”. Very few other industries offer this type of coverage on their products. What are the PROS and CONS of Vortex Viper? For me, shooting with a Red dot sight is faster than with iron sgihts by 10%-35%. Even though there are a number of options for budget mini red dots in the market, most of them aren’t even range gun grade and would break down over time. Yet Vortex Viper isn’t that much more expensive and if you consider its lifetime warranty, you could come to the conclusion that the Viper is one of the best deal in the budget mini red dot option. Furthermore, Vortex Viper is one of the bestseller mini red dot with overwhelming positive reviews. My recommendation? Get this Vortex Viper if you don’t intend to depend your life on it and want affordable, quality mini red dot (can be used on both handguns and long guns) with unparalleled Vortex lifetime Warranty. Since no optics nor products exists in isolation. And words such as “crisp” and “great” dot don’t really mean much when you have no benchmarks. I’ll be comparing Vortex Viper with other mini red dot sights in similar price range, so you know what’s the best option for your money. Read on to find out why Vortex Viper, even though impressive, isn’t a perfect red dot sight. These are 2 popular options in the market with similar price point and should give you a realistic feel of how good Vortex Viper really is. 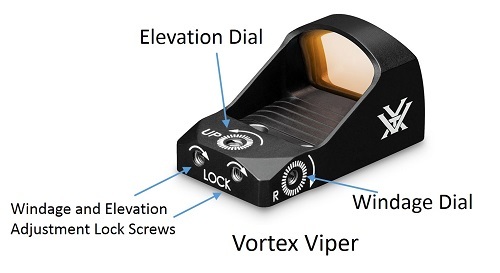 Before getting to the comparison part, let’s familiarize ourselves with Vortex Viper first. Vortex Viper has 24.1 x 18mm glass and 6 MOA dot. Vortex Viper has 10 brightness settings which can be adjusted manually or through its auto-brightness feature. Next, to determine Vortex Viper’s performance, I lined it up alongside Vortex Venom and Burris Fastfire III. Comparing head to head, I found no perceivable difference between the three in terms of dot clarity, dot sharpness, glass and lens coatings. To aim with a red dot sight, focus your eyes on target. Place your dot on target (without shifting your eye focus from target). Pull the trigger. Cold weather shortens battery life. Prepare accordingly. One of the factor to discard Vortex Viper is its battery compartment design. Viper’s battery compartment is located at the base and you have to unmount the red dot to change batteries. Thus, you may have the hassle of re-zeroing every time your battery runs out. This is not the case with the other two, as their battery compartments are located at the top and batteries can be replaced without removing the optics. A negative note on Vortex Venom is its poor battery cover design. Many people complain about how hard it is to replace battery each time. The main problem is that the threads are very fine and could cross-thread or strip them easily. 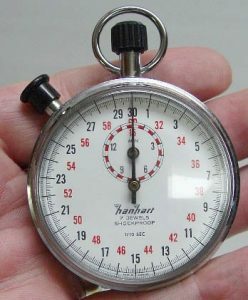 Some people even took 30 minutes to 1 hour replacing batteries. But this is not a big issue as you can send it to Vortex to have them fix the problem. All 3 red dots use CR1632 to power. Both Vortex Viper and Venom have 14-hour auto-shutdown feature. A single battery can be used up to 150 hours at highest setting and up to 30,000 hours on lowest setting. Burris FastFire 3 has 8-hour auto-shutdown feature. A single battery can be averagely used for about 5,000 hours depending on your brightness settings preference. One nice feature of the FastFire 3 is that when battery life is running lower than 4 hours, a light dot will begin to blink twice every 5 seconds. All 3 red dots are bright enough on sunny days and I have not experienced any washing out. Vortex Viper and Venom have 10 brightness settings which you can use to adjust to your environment. The difference is that the Venom has Auto brightness feature while the Viper don’t. This feature comes in handy while using the red dot in places with lots of shadows and/or different lightings. It’s also useful when you go out to the range for a whole day. The controls for both Viper and Venom have “Up” and “Down” arrow to control its brightness. If you want to use the Auto-brightness settings on Vortex Venom, press and hold “Up” arrow until the dot flashes three times. To stop using Auto-brightness, press and hold “Up” arrow until the dot flashes two times. Auto brightness doesn’t work well when aiming from dim spot out to bright environment. On Burris FastFire 3, you also have Auto-brightness but there are only 3 manual brightness settings, High, Medium and Low. To control you have only one power button that toggle in a cycle between “Auto brightness”, High, Medium, Low and Power off. This seems like a good concept as the control is very simple. However, Auto-brightness settings sometimes give too dim light for my preference. And I can’t manually fine-tuned it well enough for varying environment. To sum up, Vortex Venom controls are better in my opinion since you can either use Auto-brightness or manually adjust to your preference. One complain about Vortex Viper is its elevation and windage adjustments. Before you can adjust these, you first need to loosen 2 locking screws on the rear of the optics. However, due to some handgun design, there might not be enough space to insert your L-wrench in between your rear sight and your optics. Thus you may also need to remove your rear sight to adjust your elevation and windage. This is not the case with Vortex Venom and Burris Fastfire 3. Fortunately, turrets on red dot sights are more of a set and forget type and we have no need to dial them after zeroing that much often. All 3 red dots are very light and compact. Burris FastFire 3 is the lightest. 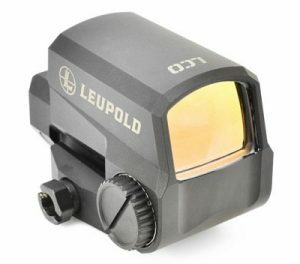 Optics with large viewing glass give better FOV and faster red dot picking up speed which are very useful when you shoot from weird positions, such as urban prone position. Viewing glass of the Viper is the largest of the 3 (but very close to Vortex Venom). Vortex Venom gives you the biggest field of view which is generally a good thing. However, on some models, the width of the Viper and Venom could slightly exceed the width of your handguns, and the FastFire 3 would give you a more streamlined build, if you’re concerned with that aspect. In terms of low-profile mounting, all 3 can be mounted very low. Vortex Viper can be mounted the lowest, but the difference should be mostly negligible for most users (1.3mm lower than Venom). Note that the difference stated here is pretty small, and would not affect most people’s decision making. 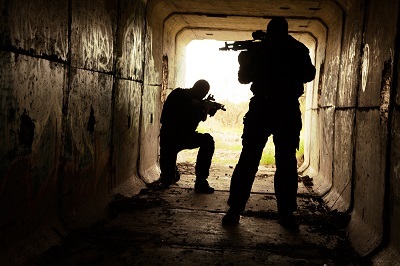 Vortex Viper is durable enough for non home-defense or occupational applications. Again, if you’re into serious use, consider getting a higher end red dot. I personally have a great run with Vortex Viper and have no durability issues with the red dot. Furthermore, Vortex Viper housing construction is more rugged than Burris Fastfire 3, judging from other users feedback where they broke the red dot with enough direct impact. That said, most mini red dots including the Viper are not supposed to be as rugged as a full tube style such as those of Aimpoint PRO. So a full direct impact is not advised. Hi there. We are a group of shooting/hunting enthusiasts. Our goal is to make shooting/hunting popular again by making things easier for beginners. If you have any questions, comments and/or suggestions, please contact us here.